This week I am happy to host a giveaway for a gift certificate worth $50 (USD) from Violet Crown Vintage. The impossibly cool Violet Crown was started by Lia after she had moved from Toronto to Austin, Texas—“the city of the violet crown” being one of Austin’s nicknames, after its stunning sunsets. 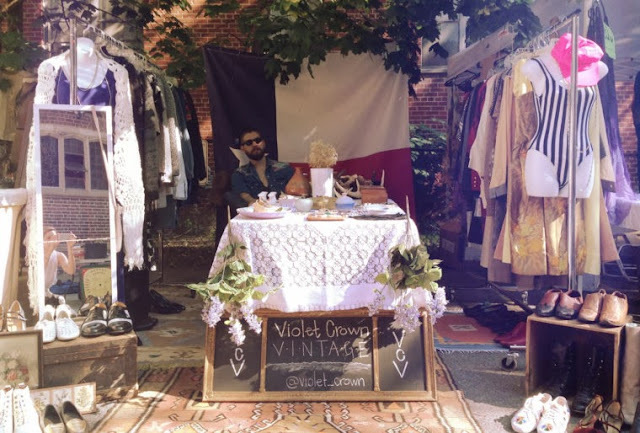 Now back in Toronto, locals may have seen Violet Crown Vintage at some of the flea markets over the summer; her booths have always stood ahead of the rest, beautifully merchandized according to her tasteful eye for carpets, blankets, and, of course, lovely vintage clothing. Violet Crown Vintage was born out of my desire to acquire special, beautiful things and share them with the world. 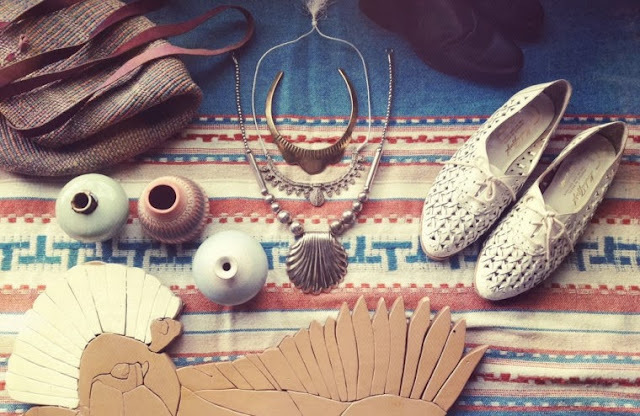 After years of shopping off the beaten path and styling myself and my home with eclectic vintage goods, I worked up the courage and joined Etsy as a seller while living as a Canadian expat in Austin, Texas. The creative landscape of Austin and the unique culture of Texas as a whole have highly influenced the aesthetic at VCV and will continue to have an impression on the shop in the years to come. 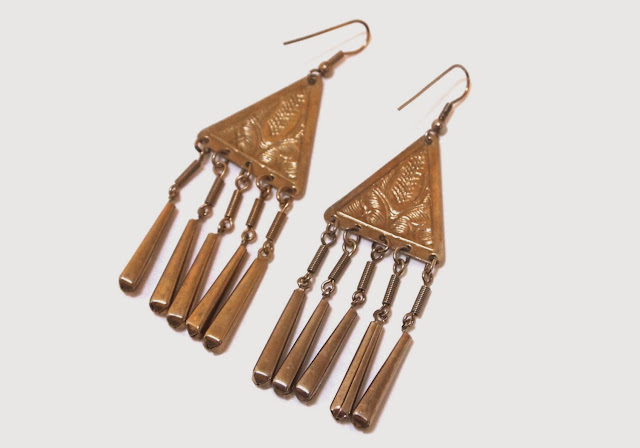 I like to think of Violet Crown Vintage as a reflection of my personal style and life ethos: casual/country/city/cool. I went through her shop and picked out a few of my favourite pieces—obviously I have cooler temperatures on the brain, and am starting to gravitate towards a darker palette. Visit Violet Crown Vintage on Etsy and leave a comment here telling me what your favourite piece in the shop is. 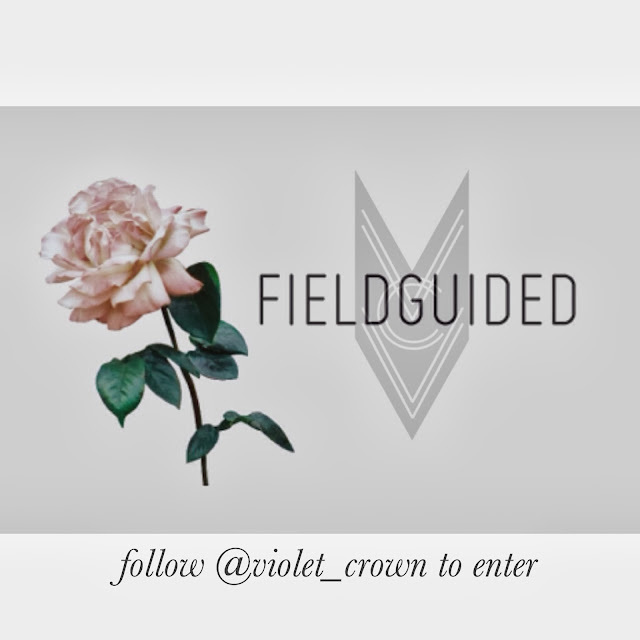 For additional entries, follow Violet Crown on Instagram and/or Twitter, then leave a comment here telling me you have done so. 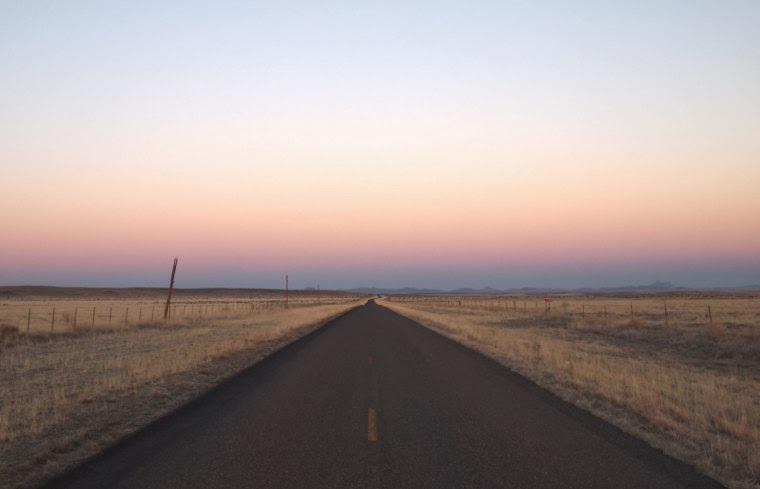 You may want to follow Lia on Instagram anyhow because her account is full of stunning images of country vistas, gorgeous textures, and of course, sunsets. Please keep in mind that I have comment moderation enabled in my near-futile quest to sift through spam, so your comment might not appear right away. This giveaway is open internationally, but if you live outside of Canada, you may be responsible for your country’s import duties or taxes once your vintage items have shipped. I will select a winner at random on the morning Friday, November 1. Good luck! ETA: This giveaway is now closed. Congratulations to Giulia! Even though slightly bigger than my size! My favourite item is the vintage 80's silk colour block scalloped edge shirt. Followed on instagram & twitter! my favorite item is the pearl collar necklace! I'm already following Lia on twitter and instagram, always gorgeous photos and clothes! love the monochromatic embroidered tunic! this is my fav and I'm following her on instagram now! Thanks! Also just started following Violet Crown and Lia on instagram! these are my faves, even if they are too small. Also followed on instagram! Oh man, that mohair cardigan! I love that blue southwestern shawl/vest thingy, I would wear that with jeans and it would keep me so warm all through the Montreal winter! I love the design on the vintage monochromatic embroidered tunic! oh, and i followed on instagram & twitter! I also love the mohair sweater. And the two fair-isle sweaters in the shop are calling to me. :) I also just followed them on Instagram. Thanks! My favorite pice is the pair of vintage COLE HAAN loafers. 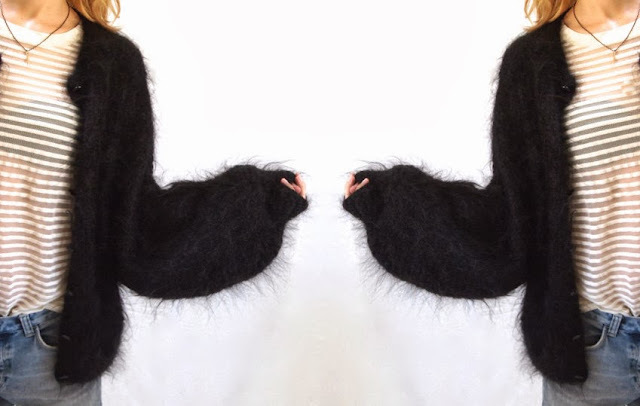 Perfect for a masculine/feminine look and just my size! Following vintage crown on instagram. Oh my, I didn't know your blog since yesterday (I was looking for nice vintage stores in TO), and I went to many months ago, lovely! 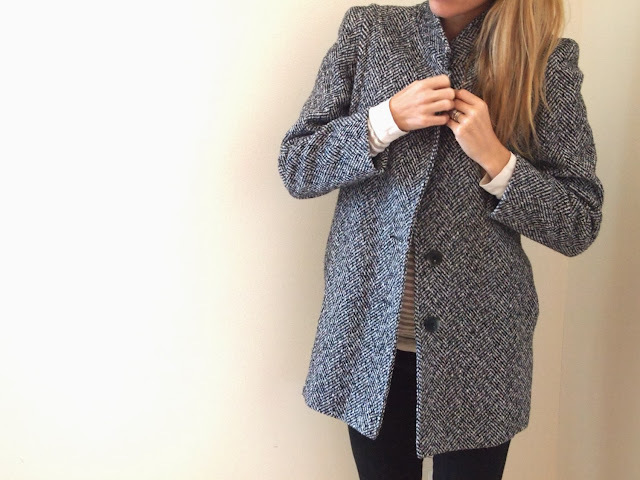 The vintage Aquascutum trench coat is perfect! Oof, gotta go with that sleep set. Also followed on instagram! And just followed her on insta! Thank you! Wow! I'm so happy you've introduced me to Violet Crown Vintage! I love the vintage grey and white wool fair isle snowflake sweater - perfect for heading into winter! love the vintage 90s Eddie Bauer two-tone puffy vest! Not that i'm in the market for a wedding dress, but the vintage beaded and sequined ivory wedding gown is so so pretty. Her store and her instagram (now following) are total eye candy, but I am particularly smitten with the vintage 70s sheer black sleep set. My favorite is definitely the Vintage Persian lamb and mink collar coat. Sweet! ooo! great stuff! :) i'm a huge fan of cowboy boots, and those tan ones (size 6.5) are totally calling my name. i've been wanting a pair forever!! love the vintage 60s mod babydoll dress. reminds me of space costumes from 60s movies. oooh, i like all the fair isle sweaters, both pairs of tall suede boots, and the black loafers. thx for the terrific giveaway! I like the two-toned Cole Haan loafers!! Oh, and I'm following Violet Crown on Twitter! my favourite piece is the vintage sheer black & embroidered long sleeve gown! love! now following on instagram & tweeter! thank you! That bathing suit's a real stunner and all those cute shoes! !